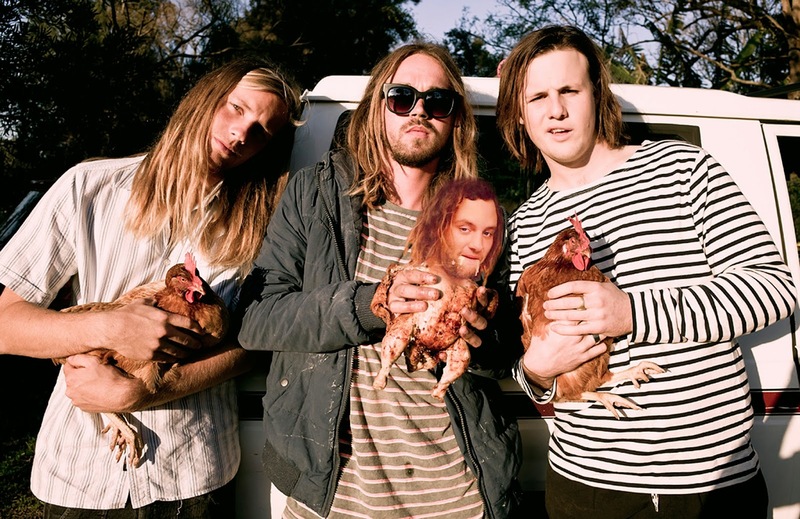 Kristy has a chat to Teddy from The Ruminaters, they have a chat about their wicked new release ' I Hate The Ruminaters', the process in making it and Teddy also shows some much deserved lovin' to Julian Casablancas. 'I Hate The Ruminaters' is out NOW! Congratulations for the release of "I Hate The Ruminaters", how stoked are you about it? SO STOKED! It is so cool to finally have the whole record done and be able to give mum a copy to listen to in her new car. It’s been such a fun process recording this record and we are real happy with how it sounds. Hopefully everyone else is too! What were some highlights from creating the record? Definitely the week we spent up at The Farm. We packed up our studio a week before christmas last year and journeyed on up to the farm to record the album. We just surfed and played music all week and it was epic. Our friend Rohin (The Walking Who/Angus Stone) was in the drivers seat as producer and we just had a hell of a time. What are your general songwriting methods? Usually Pencil (Singer/guitar) will come to the band with an idea of something and then we usually spend about an afternoon on it to see where it goes. I feel like a song continues to grow and change a lot from when we originally write it. Particularly up until we record. It was really cool how we got to write and change stuff during the process of recording “I hate the ruminaters”. I think that definitely took our tunes to another level. What inspired you the most when creating this record? It was really inspiring being away from home and living in such an epic spot for a week. We wrote one of the songs on the record (Alpaca King) as a result of this walk we did on the farm where we found all these alpacas hanging about. If you could collaborate with any musician or producer, who would it be? Probably George Martin. He is just the dude. Also Julian Casablancas, we are massive Strokes fans. They were a huge influence on us starting the band and his record that he has just done with The Voidz is the most epic thing I’ve heard in a long time. He’s great. Will you be hitting the road soon? We have been on tour since the start of October. We hit the road to celebrate this record being released and went to Byron Bay, Melbourne, Wollongong, Newcastle and Sydney. We have our last show for the year tomorrow which is a fundraiser event at La De Da in Mona Vale. If you could remix or re-record any Christmas song, what would it be? Little Saint Nick by The Beach Boys off their album “Beach Boys Christmas”. This is by far my favourite christmas song of all time and just takes me back to being a kid when dad would play this on repeat in the kitchen from around October through to February.